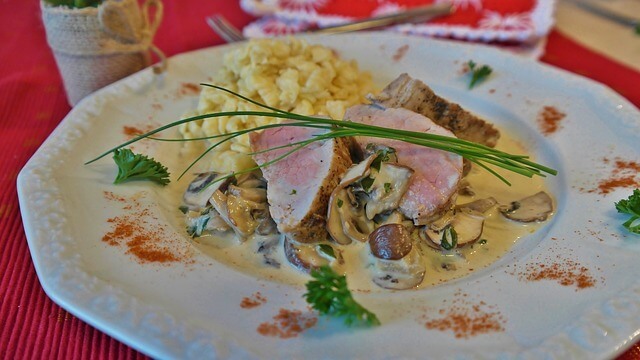 This is a delicious pork dish and is full of flavor. The sauce contains mushrooms which provide a meaty savor of their own. Mushrooms are important foods. Some who don’t even meat say they are a good substitute. It compliments the pork in this dish well. They make the sauce hardy and full of earthy flavor. This dish will tempt any mushroom lover or lover of hardy meat dishes. The ingredients are also easy enough to find at stores.